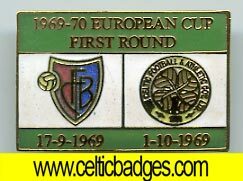 Following on from the 1967 badge set issued in 2005. 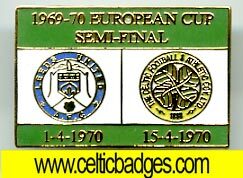 Now a limited edition set for the 1970 European Cup run has been issued. 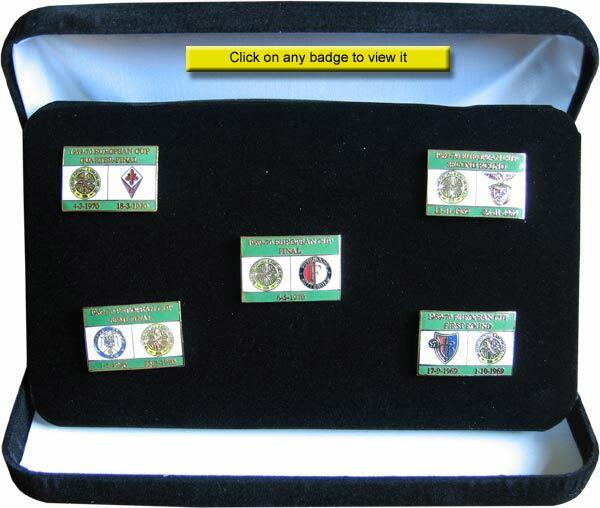 A set of 5 badges were issued (unofficial). 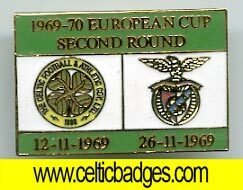 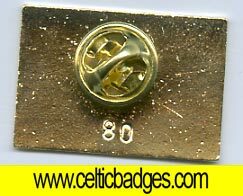 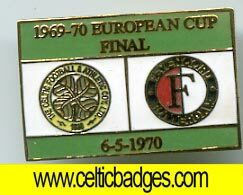 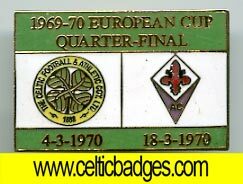 The set is five badges, one for each round of the 1970 European Cup run that saw Celtic loose in the final to Feyenoord in Milan.. 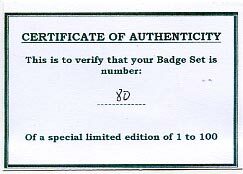 The rear of each set is stamped with the set number and the sets come in a case with a certificate showing the set stamped number.